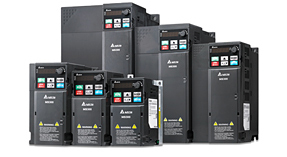 The VFD-C2000 series is a high-level field oriented control AC motor drive with a high-performance variable-frequency technology, FOC control. It features versatile driving controls, modular design, wide variety of applications, easy maintenance, low malfunction rate, self diagnosis and competitive market price and brings customers not only the high-efficiency construction but also the most economic solution to compete with the global market. 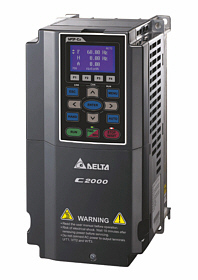 Delta’s Sensorless Vector Control Drive CP2000 Series has extended the idea of energy saving and uses this principal as the basis of its design. 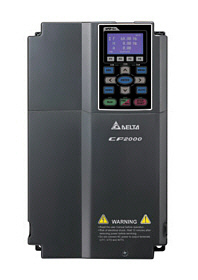 The CP2000 is specifically designed for applications such as air blowers, pumps and HVAC drives with its intelligent PID control providing the greatest efficiency. 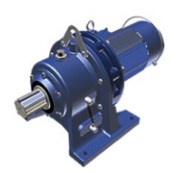 The Sensorless Vector Control (SVC) offers timely response to load torque increase/decrease which satisfies customer requirements for load changes while enhancing motor performance. Delta’s Hybrid Energy Saving (HES) System provides precise pressure and flow controls for each injection molding process and also solves the energy waste issues of a traditional injection molding machine. This solution helps to improve product quality, market competitiveness and productivity. 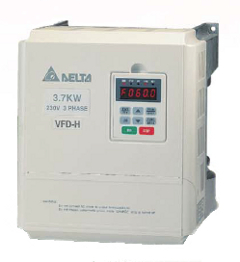 Purchase your Delta HES Series Hybrid Energy System Now! The Delta DD series elevator door control drive is an intelligent drive with outstanding features that include a modularized design for easy removal and installation of terminal blocks, a power switch designed for safety, and a built-in digital keypad that provides quick operation control. This drive offers four door control modes for door opening and closing. The distance control mode is controlled by an encoder that counts PG pulses to obtain the speed position without sensor. 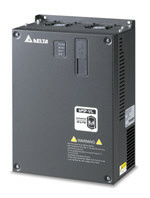 Delta’s MS300 series is a standard compact vector control drive that inherits Delta’s superior drive technology. 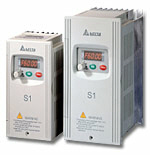 It supports both IM and PM motor control for application flexibility and provides STO safety mechanism. Also built-in various essential functions, including PLC capacity for simple programming needs, a communication slot for various communication cards, and a USB port to make data uploads and downloads fast and easy. Saving space, reducing setup and wiring time, while providing high efficiency and stability system — all included in the MS300 series with drive size reduced up to 40%. 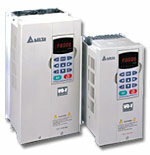 The VFD-EL series is multiple function new generation micro type AC drive. It has built in EMI filter, RFI switch, easy DC bus sharing for side-by-side installation, high precision current detection, overload protection, and a built in keypad. 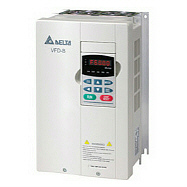 Purchase your Delta VFD-EL AC Drive System Now! Variable Torque AC Drive. 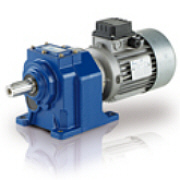 Specifically designed for medium and high horsepower fan and pump applications. The F series offers an adjustable V/F curve and automatic voltage regulation. It also offers the capability of connecting and running consecutively four motors. 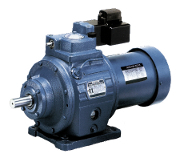 A set of motors consisting of 1 variable-speed motor and 3 constant-speed motors is allowable. Sub-fractional low cost AC Drive. Specifically designed for low horsepower applications with built-in EMI filter to efficiently reduce electromagnetic interference and to conform to the CE EMI directive. 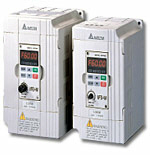 Flux Vector/Torque Control AC Drive. Offering V/F, Open Loop, Closed Loop and high speed control options. 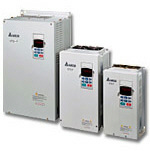 All VFD-V series drives are constant and variable torque rated. 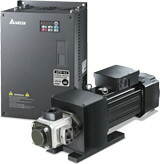 This NEMA 1rated flux vector drive is capable of 0-3000Hz in V/F mode, and offers rapid response, pinpoint servo position control and speed adjustment. 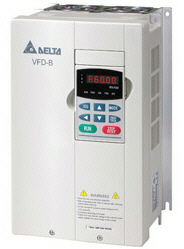 Purchase your Delta VFD-V AC Drive System Now! This series adopts FOC (Field Oriented Control) which is a far more precise vector control algorithm. 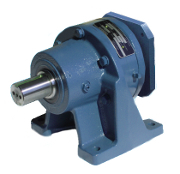 It can be used in both speed control and position control similar to a servo motor drive. 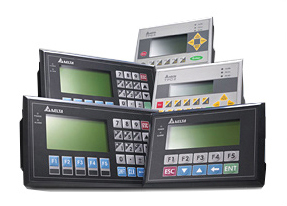 The multi-function I/O terminal is expanded to meet users’ various application needs. In addition, it is supplied with a Windows based PC software program for managing parameters and dynamic monitoring. It provides an excellent solution for load regulation. 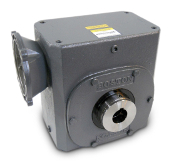 It can output 150% of rated torque at zero speed, and it can have “point to point” and relative distance control functions for position control, making it the best choice for challenging industrial control applications. 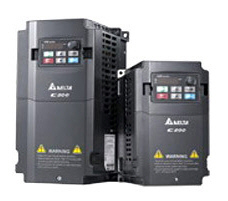 This series is the first generation of AC motor drive with abundant features, including multi-function I/O terminal, V/f control and auto-torque/auto-slip compensation, built-in RS-485 serial interface (MODBUS) and digital keypad that can be connected to VFD with extended wire. Now it has been updated to B and M series. 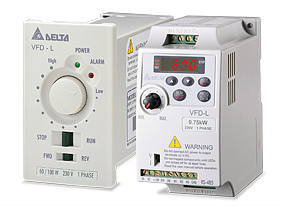 The VFD-C200 Series is an intelligent vector control micro drive that provides versatile control modes for motors and includes built-in PLC functions with capacity up to 5,000 steps. It is suitable for harsh environment applications with a strengthened thermal and anti-dust design that provides comprehensive protection. HMI (Human Machine Interface) is a medium for information exchange and mutual communication between electromechanical system’s and the user. 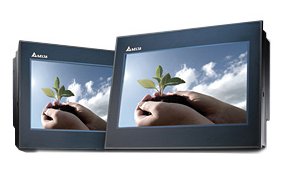 It allows the user to complete settings through touchable images or keys on the user-friendly window. This not only offer’s fast and convenient control of manufacturing automation, but also has replaced traditional controlling panel’s which need extensive wiring. Text Panel is a monochrome text and graphical panel where people and machines work together. Though it is not as plenty and vivid as colorful graphical interface, it still can convert many program codes into text and graphical display and show on Text Panel.